Dr. Hema Pant, a renowned dermatologist and skin specialist in India offering all skin and hair treatments. 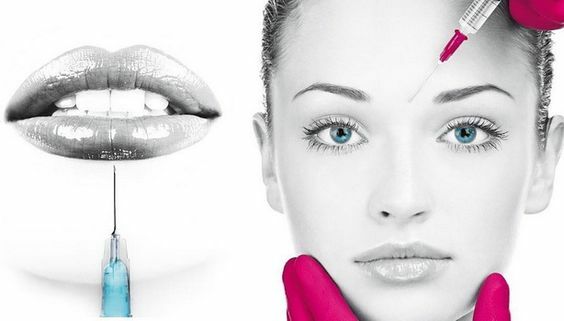 The dermal fillers act as the non-surgical option for a complete rejuvenation of the skin adding a volume to it and works as a boost of hydration too. With the growing age, we start losing volume in certain areas of our face which makes our skin look dull and sunken. This is actually caused due to the decreased capability of the body to produce a good amount of the collagen as well as elastin. Our clinician devices tailored made dermal filler program and its result is going to last for up to a period of 6 to 24 months. The filler treatment works as one of the best option to fill the deficiency of this naturally occurring substance and to restore the fullness as well as the volume in numerous areas of the face. So the dermal fillers can be utilized to re- volumenize many of the facial regions. The skin rejuvenation therapy is highly effective when it is being utilized in combination with the anti-wrinkle injections which helps in the prevention of the wrinkles, volume loss and also reduce the visible signs of ageing. Most commonly these are utilized for plumping up the lips and raising the cheekbones too. The results of this therapy vary considerably depending upon the consistency of product and site of injection. Although it is versatile procedure which can also be used for the correction of fine lines, smoothening of the deep ceases, restoring the volume and even reshaping your chin and jawline too. Another benefit of availing this filler treatment is that instant results can be achieved with in just 30 minutes and you will look in the best possible version of yourself. The clinicians working at our dermatology clinic assess the individualized skin needs of the patients and device tailored made dermal filler program and its result is going to last for up to a period of 6 to 24 months. The results of this therapy vary considerably depending upon the consistency of product and the site of injection. It is crucial that the dermal filler procedure is undetectable as well as artistic. You can observe positive results immediately and these fillers are dissolvable too for imparting maximum level of safety. Our dermatology experts are fully trained in the field of cosmetic injection and carefully develop a bespoke process for the enhancement of the best features of the patients. The good thing about it is that they also comprises of the anaesthetics to impart maximum comfort to the patients. You can observe the positive results immediately and these fillers are dissolvable too for imparting maximum level of safety. These Fillers Treatment in Delhi can be applied in a fast and easy manner and can be administered through the utilization of tiny injections with an instant visibility of the results. Through the administration of this non-invasive treatment, you can restore the elasticity and natural hydration of the skin. Once the treatment is done you can return to your normal routine as there is no downtime which is associated with it.